Camera As Advocate | No. 9 THORNTON SQ. On November 19th of last year, the New York Times featured an article about hidden cameras in nursing homes, dubbed granny cams. Doris Racher, concerned about her 96-year old mother in a nursing home in Oklahoma, had a motion-activated camera that looked like an alarm clock placed in her mother’s room. The images captured of her mother being abused by staff were horrific but, sadly, not surprising. As I read the article, I was struck by the parallels to psychiatric mistreatment. Based on my admittedly unscientific tracking of such reports, it seems once every year or two, an article appears in the news about elder abuse as if it’s never been reported on before: We’re shocked! Shocked! This is also true of psychiatric abuse. I began to think about the benefit of neutral watchful eyes in psychiatric hospitals. The camera as patient advocate. Such surveillance could counter stigma’s close cousin, invisibility, and medical records which are written by the very doctors and staff who are the subject of complaints. Patients have little or no say in what is documented (and even if they did, their words would carry less weight). The odds are depressingly low of their complaints being taken seriously if they muster the courage to come forward. Their credibility has been snuffed. This is especially important in cases where family members are dubious or indifferent. I know this from my own experience, a part of which I will bluntly encapsulate below at the risk of being a bit overwhelming. I will continue to share my experience with you in future posts. In 1989, after my father died, I checked myself into a highly-regarded, private psychiatric hospital in Dallas suffering from insomnia, anxiety and side-effects of medications I’d been on for years. Just before I was to be discharged, my assigned doctor decided I was suddenly too sick to leave. She had learned that my family had the resources to pay for long-term treatment, and tried to have me committed. (I was deemed paranoid for thinking their motives were financial. Later, I learned the hospital was on the verge of bankruptcy at the time and re-organized under Chapter 11. Was I paranoid? You decide). I was held against my will for weeks, and denied counsel. My family was indifferent. By the time I felt strong enough to sue, the statute of limitations (a meager two years) had expired. All complaints I submitted to the appropriate boards were dismissed without explanation. That hospital is up and running again. Those doctors are still practicing, as far as I know. I am haunted to this day by what happened to me and others there. What other lives have they ruined in the years since? If there had been some form of surveillance in place, cameras as my advocates, would I, or any other forceably incarcerated patients, have had a better chance of being taken seriously, especially in the case of a hospital that had the stellar credentials to use as camouflage? Texas currently allows surveillance cameras in nursing homes. Why not extend that to psychiatric facilities as well? It’s not as easy as that, of course. For one, there is the issue of privacy. Though the Constitution doesn’t guarantee a right to privacy, and security and surveillance monitoring are woven into our daily lives now, there are legitimate legal and ethical concerns. Where is the fine line between protection of an individual’s privacy and the common good? I have no easy answers for this, or any at all at the moment, actually. But today the question is as timely as ever. 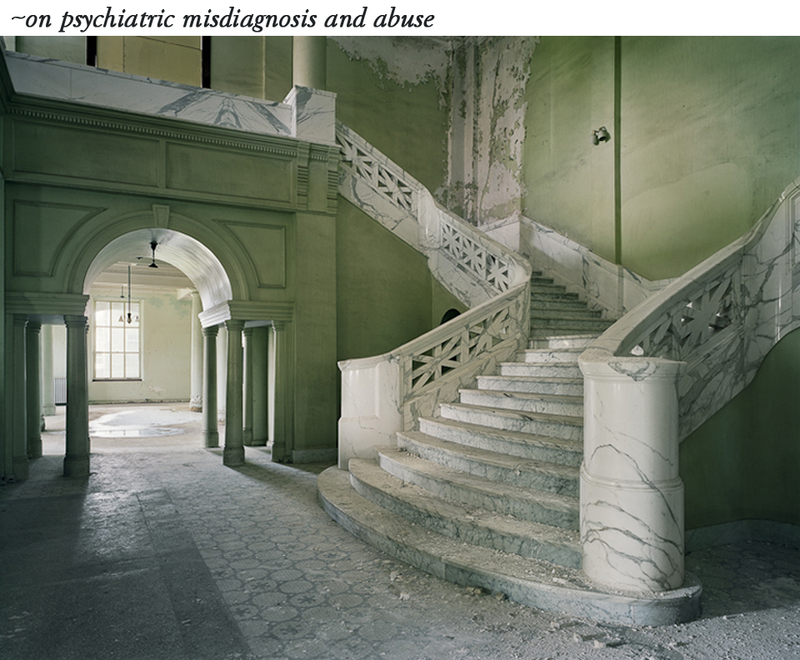 In the 1990’s, with mass deinstitutionalization, psychiatric patients were often left to their own devices. Many of them were left homeless, reliant, at best, on inadequate outpatient services, if they had access to them at all. Inpatient care plummeted. Today, with the Affordable Care Act mandating mental health parity, insurance will cover mental health treatment on par with other physical ailments. The limits for inpatient care will expand. With the sites of gun control legislation aimed at treating the mentally ill, there will most certainly be an uptick in inpatient care. If we are serious about putting a stake in the heart of the systemic problems in institutions, and in protecting patients, I think we have to take seriously the benefit of cameras as advocates.